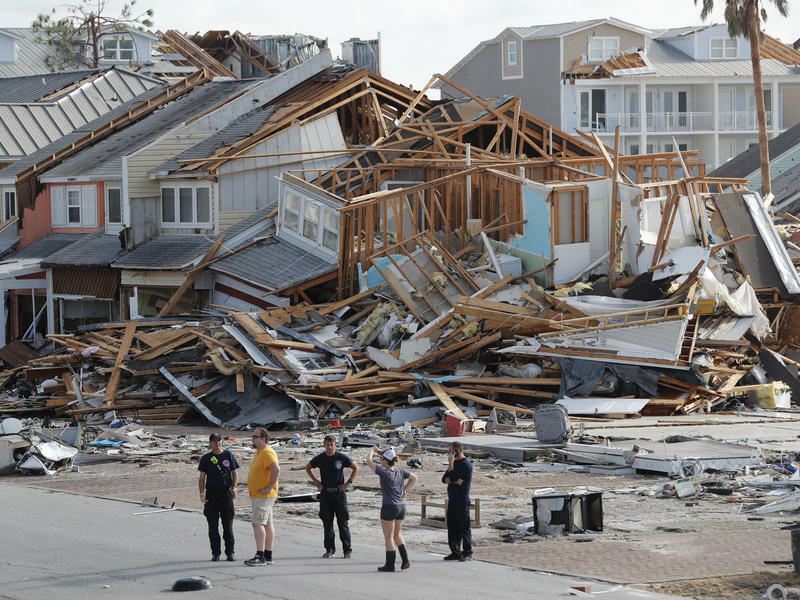 PANACEA -- The muggy air hung heavy over the small Gulf Coast town of Panacea on Tuesday as Hurricane Michael churned toward the Florida Panhandle. Grey clouds glided quickly across the sky over the main street’s shuddered seafood shacks. 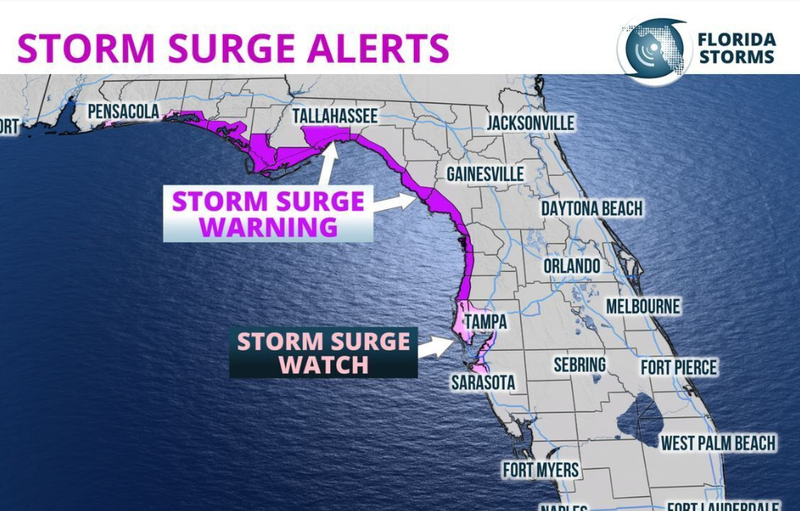 Storm surges, combined with the new moon tide, were expected to rise in this area anywhere from nine to 13 feet. 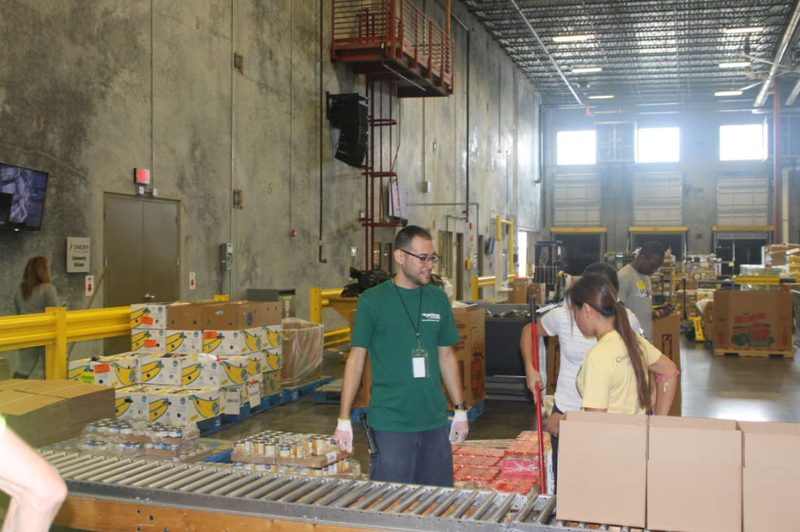 By Tuesday afternoon, sheriff’s deputies had already knocked on doors twice. The first time, it was to urge people to leave. The second: taking down the information and next-of-kin of those who remained — of which there are many. 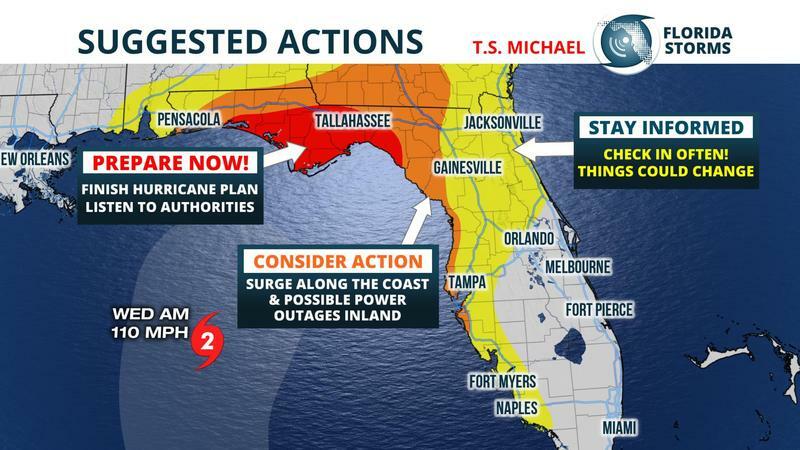 Hurricane Michael has become the season’s second major hurricane. 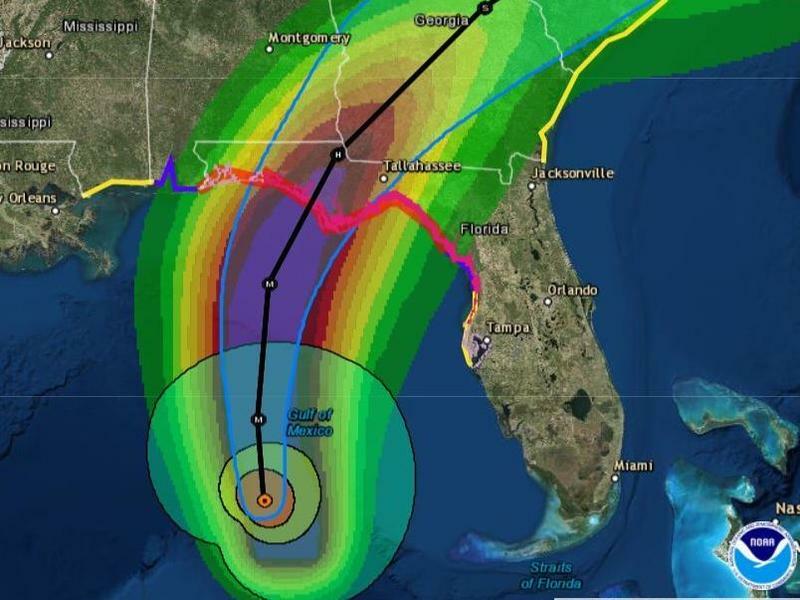 The latest flight from the hurricane hunters have revealed that top winds have increased to 120 mph. 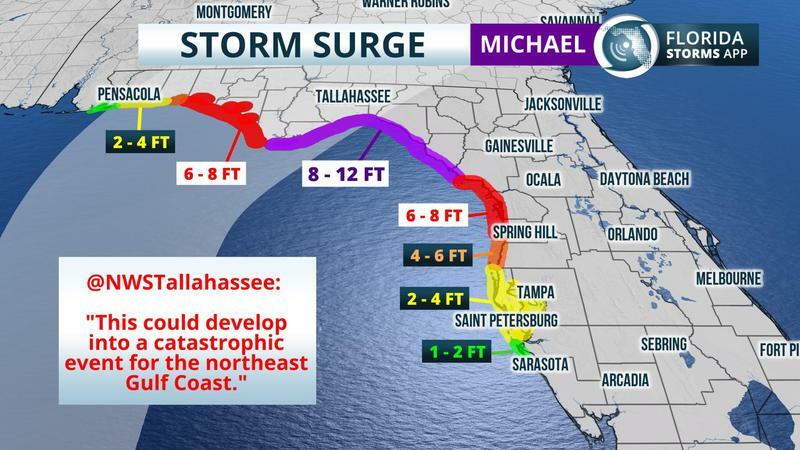 Hurricane Michael is intensifying rapidly, and now a strong Category 2 storm with winds up to 110 mph. 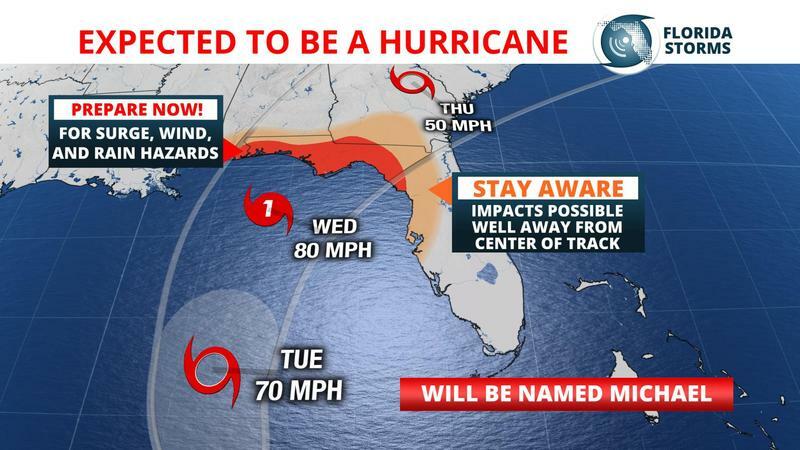 The storm is expected to become a Major Hurricane later today as it accelerates north through the Gulf of Mexico. 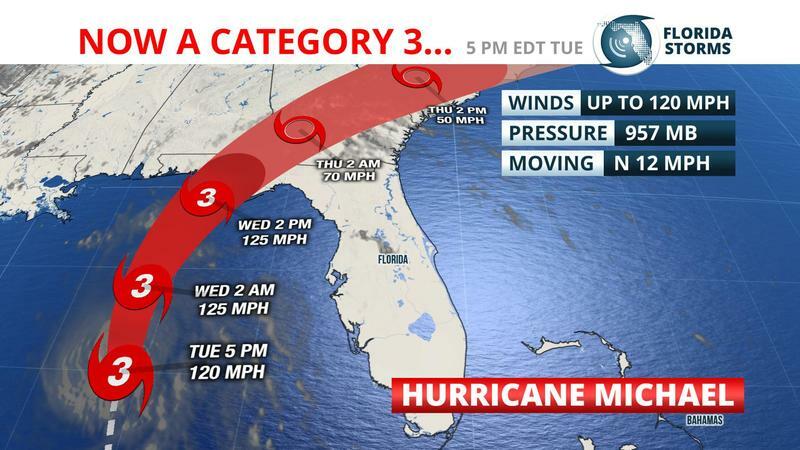 Michael was still barely a Category 2 hurricane late Tuesday morning as maximum sustained winds reached 110 mph. 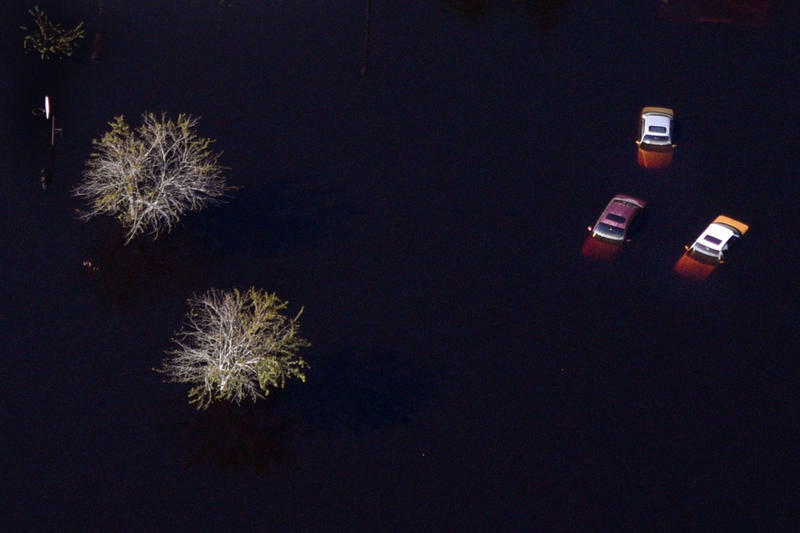 The storm is gathering more strength as it heads toward Florida's northeast Gulf Coast, where coastal dwellers all along the panhandle are boarding up homes and seeking evacuation routes away from the dangerous storm heading their way. 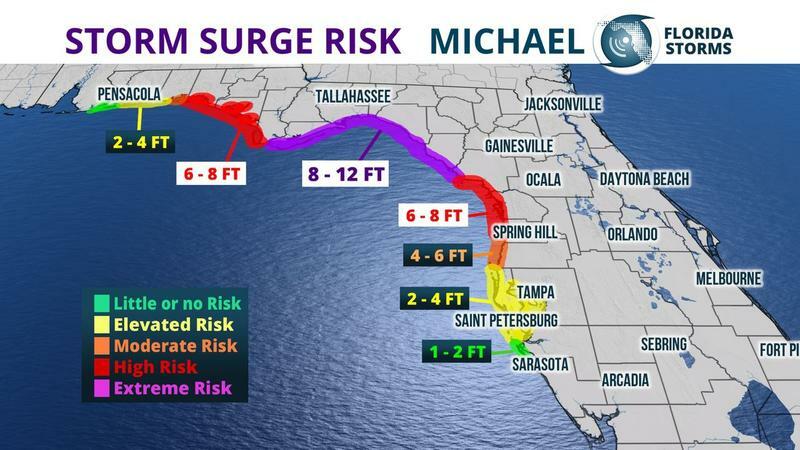 With Hurricane Michael expected to blast Florida this week, Gov. 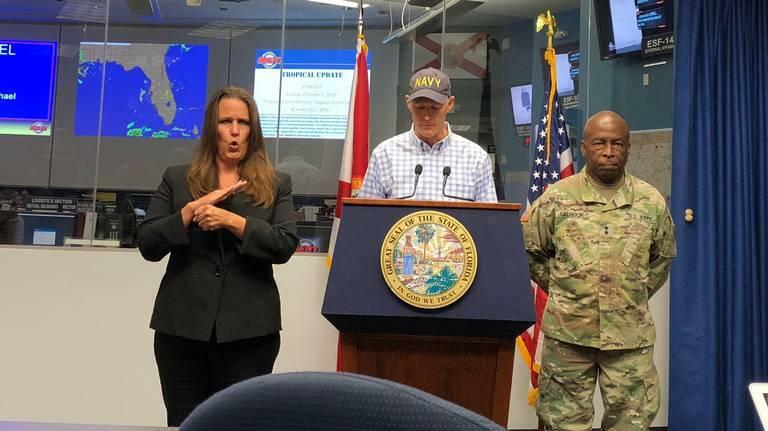 Rick Scott on Monday expanded a state of emergency to include 35 counties and asked President Donald Trump for a declaration that would help provide federal assistance. A large area of disturbed weather over the western Caribbean Sea is being monitored by the National Hurricane Center for potential tropical development over the next five days. 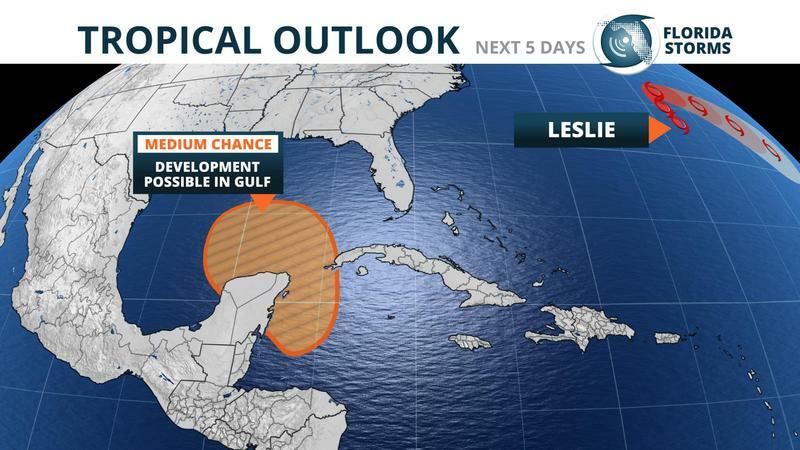 While not currently a significant threat to the United States, there is growing interest in what happens to this potential development when it moves into the Gulf of Mexico early next week. Felt the heat these past few weeks? Meteorologist Jeff Huffman with the Florida Public Radio Emergency Network can confirm that September was the hottest on record. 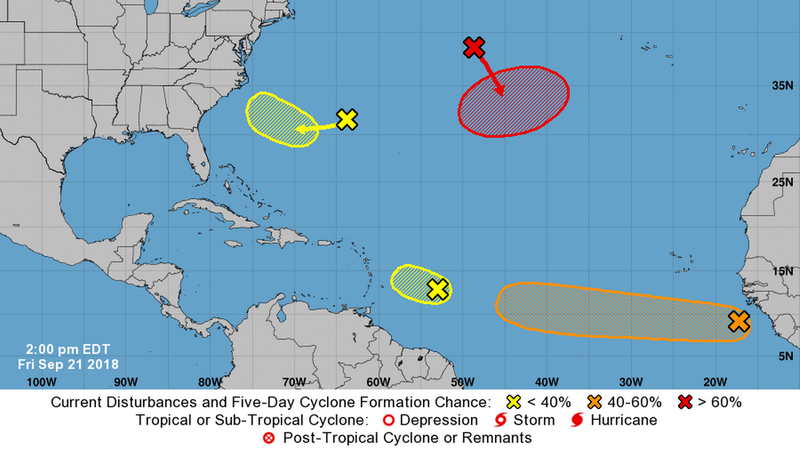 Hurricane Forecasters Are Watching Out For Four Tropical Systems. Again. 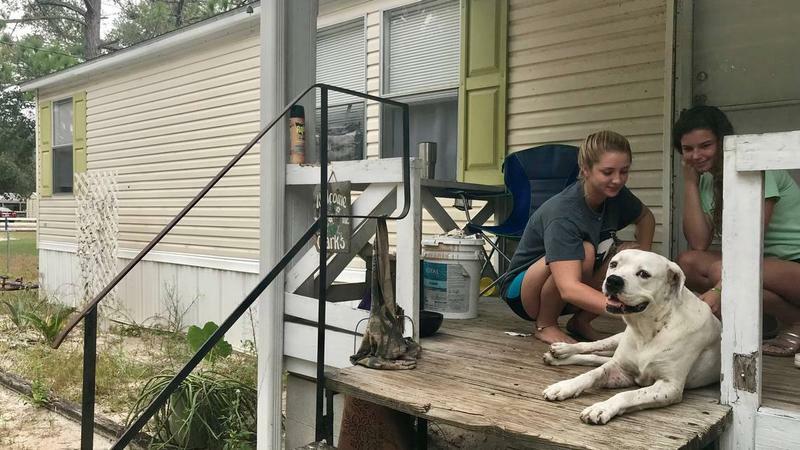 After a brutal start to September, when Florence and three other named storms churned across the Atlantic at once, hurricane season is simmering again.